June Lake California: Yosemite so crowded you can’t stop; but park will take your money at the gate!! 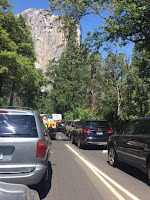 Yosemite so crowded you can’t stop; but park will take your money at the gate!! 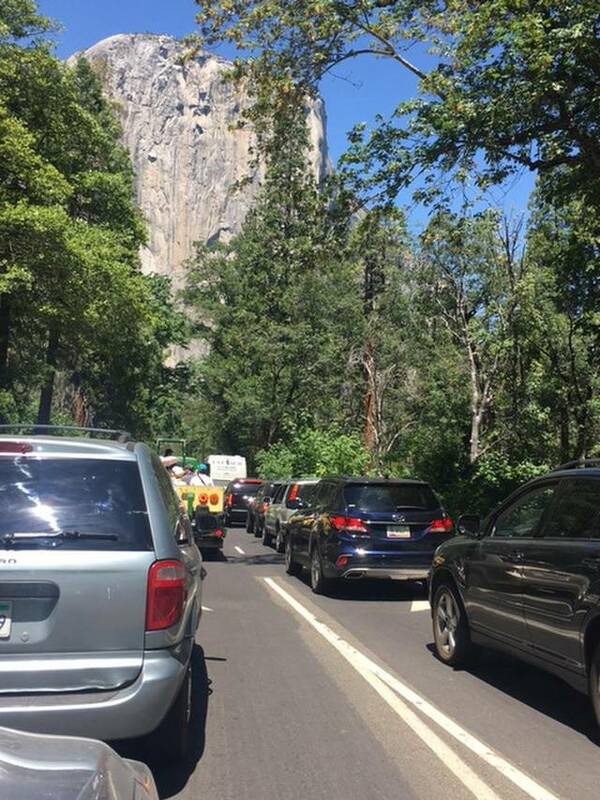 It’s the summer tourist season, and Yosemite Park is gridlocked with traffic. At 12:30 on a Saturday afternoon, a long line of cars, buses and RVs that entered the park at Big Oak Flat move slowly along the main paved road past Cascade Falls and on down to merge with vehicles coming east on Highway 140. A quick left turn brings a car into the line of traffic heading into Yosemite Valley. Then all vehicles come to a stop. I just hate going to extra crowded places, they make me suffocate, plus one cannot even enjoy in very crowded places. I feel its a waste of money. In summers park is crowded it sounds very rare. Because usually people go around evenings in public parks when the weather is good.